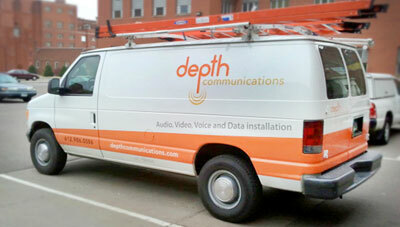 Depth Communications has been a locally owned business since its creation in 2007. Depth Communications is based on a foundation of integrity, quality and value. Depth Communications takes the needs of its customers very seriously and will go out of its way to ensure that their customers are always taken care of. Depth Communications is based in St. Paul, MN. We provide service throughout the Twin Cities metro area and western Wisconsin. We provide project installations throughout all of MN, WI, ND, SD, and IA. We provide 24/7/365 emergency service to ensure that your business is up and running at all hours. When you place your first order with us, you are taken care of as if you were our very first customer. We will do everything we can to earn your business and ensure you become a long-time customer.